February 16-17 2013 Jason Bohnert held a technique rich ceramic workshop at Hood College in Fredrick Marlyand.The Workshop featured functional ceramic art such as cups, mugs, pouring vessels, and bowls with faceted surface decoration techniques inspired by Arizona landscapes and Yixing China ceramic artists. Jason’s ceramics arts depend mainly on a wood fired environment to get the surface colors and textures that his Arizona surroundings inspire. He teaches in at Northern Arizona University. Unit4media was at the workshop to archive the event with video and photography. The workshop was two days and it covered thrown and altered forms with emphasis on faceting and altering the clay body in wet and leather hard states. Eleven people attended the workshop comprising of students, professionals, hobbyists and Hood College Ceramic Department staff Brad Birkhimer. Unit4media captured some incredible moments of throwing, altering and technique discussions that ranged from Yixing Teapot makers to Jack Troy wood-firing methods. 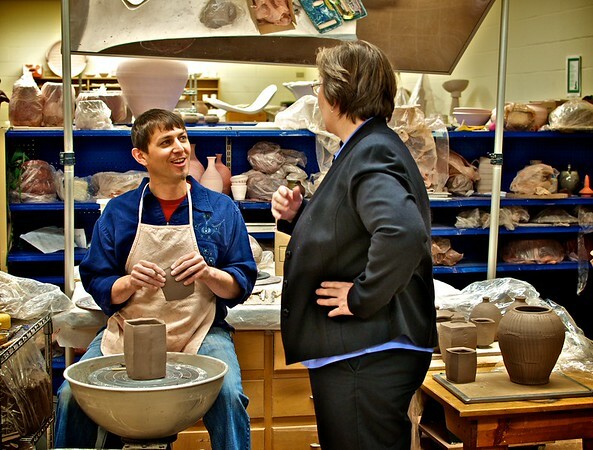 West Virginia University Ceramic Department has a long standing relationship with Chinese Ceramics and in 2004 Jason Bohnert led a team of students 3000 miles around China visiting and studying specific regions for ceramic art. JingDezhen was the main hub for these excursions and also the capital of ceramics in China so it was a good place he thought to build a western wood kiln and fire it. Here is a short film that was created archiving this epic undertaking. 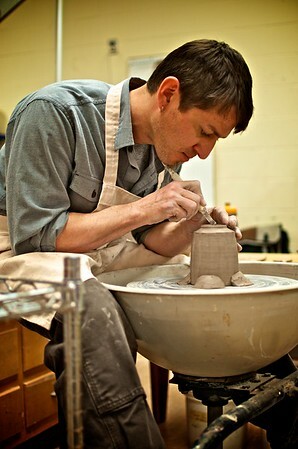 Visit his Website and learn more about his art and inspirations as a ceramic artist. A special thanks goes out to Joyce Michaud ceramics Professor at Hood College, Brad Birkhimer and Jason Bohnert for including Unit4media in such a great event.